Magnetic Clip on Sunglasses - These are stylish glasses that can protect your eyes with discretely integrated and strong magnets. Having a magnetic front connection, adjustable headbands, and spring templates make it stylish and can be used as prescription glasses. They have an attached magnetic clip and mostly come with metal frames. Magnetic clip on sunglasses are a great way to express yourself as well as correct your vision problems.They are a stylish and convenient way to protect your eyes with the use of strong, discretely integrated magnets. Everyone deserves the right to have a clear vision and magnetic clip-on sunglasses for prescription glasses makes that possible. There are varieties of prescription eyeglasses that would look good on you as well as provide you with a clear and quality vision. 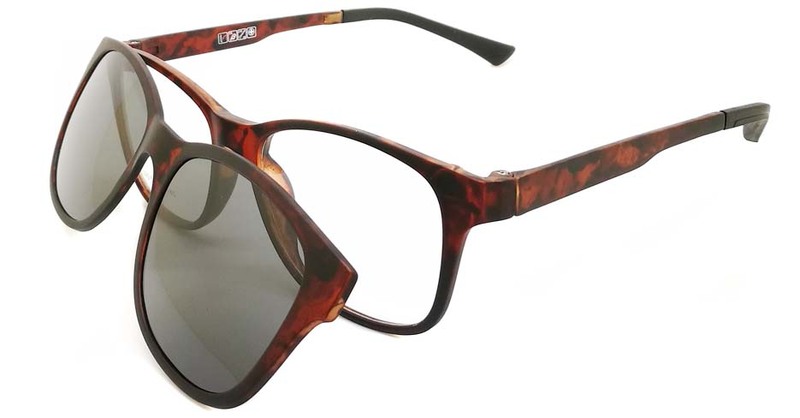 Amycoz glasses is a unique brand that carries a wide selection of magnetic clip-on eyeglasses and fashionable sunglasses. They offer durability and comfort and can be worn at any time of the day. They are also very convenient and some of the sunglasses come with polarized lenses which provide optimum protection against harmful and distracting glare. Amycoz magnetic reading glasses are also very safe for prescription use. They are stylish and have a unique feel about them, especially when taking them off and pulling them apart. 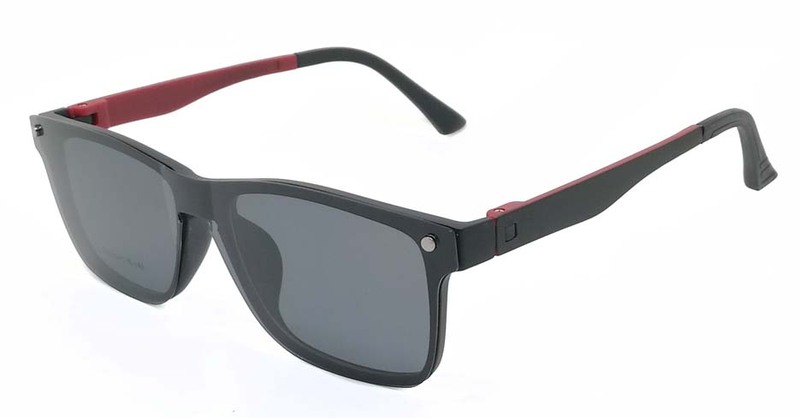 These magnetic clip-on sunglasses transform regular prescription eyewear into protective and attractive sunglasses. They are also equipped with a patented magnetic front connection, spring templates, adjustable headbands, and they stay firmly closed. They can easily fit into a pocket or purse and will attach the prescription frame as and when needed. Magnetic clip-on sunglasses usually come with a clear magnet attached to the prescription glasses. They don’t have any clips so they are barely noticeable. They also come with metal frames which are magnetic and so they cannot be used on plastic frames. Most magnetic clip-on glasses fit directly onto the frame and so, they have to be exactly the correct size for them to block the sun. Magnetic clip-on sunglasses are also less likely to damage the lens of the prescription glasses and they are also less noticeable. Another advantage of magnetic clip-on sunglasses is that you don’t have to buy a separate prescription pair of sunglasses for you to be able to wear them. They can be easily removed or flipped up when the sun goes behind clouds or when you are walking indoors. They can protect reading glasses from becoming scratched and they are very durable. Magnetic reading glasses are available in varieties of colors and styles to fit precisely over prescription sunglasses. They also have an anti-glare coating which can prevent the sun from reflecting on the lens. The frames of magnetic clip-on glasses are also less expensive to buy than different pairs of sunglasses, thus making it look as though you have many different sunglasses to match all occasions. New pairs of magnetic clip-on sunglasses are also readily available for purchase if they become lost or broken and they can be bought easily at a retail store. 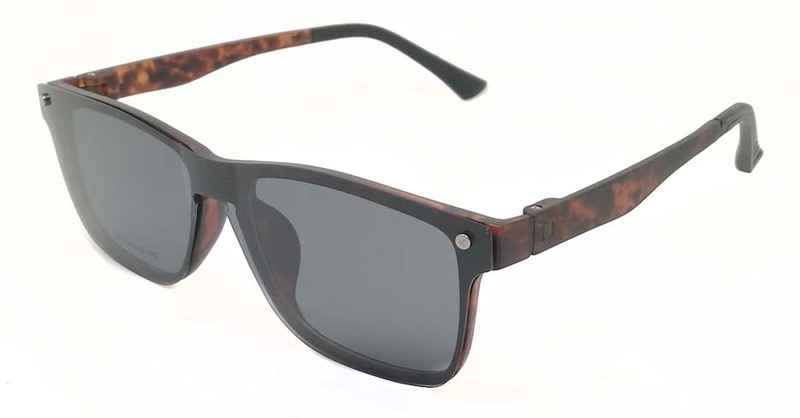 Most clip-on sunglasses are worn by sportsmen such as fishermen and golfers. These ones are of the belief that using clip-on sunglasses provides them the best vision possible for their sports. It also protects their eyes from the sun’s dangerous rays. You can choose from men’s glasses, women’s glasses, men’s designer glasses, women’s designer glasses, prescription sunglasses, kid’s glasses, as well as teen’s glasses. The magnetic clip-on feature of these eyeglasses and their lightweight nature are what makes them very unique and convenient for their users. These magnetic clip-on sunglasses are available in the latest fashion trends in modern or classic vintage styles. Whether you are the nerd, geek or retro style fashion, there are magnetic clip-on sunglasses for you, with over 3000 eyeglasses choices in frame quality and prescription lenses. They would do an absolutely great job at complementing your individual style and appearance. They are made up of high-quality frame material for men, women, and children, and they are available at the most affordable prices. When checking for the correct magnetic clip-on frame to use, make sure that you compare the style of the clip-on frames to the frames of the prescription sunglasses. Take a full measurement of the width of the glasses – start the measurement from the middle. Also, ensure that the clip-on sunglasses are in the same size as the prescription glasses or slightly larger. Doing so will help to ensure that your eyes are well protected from the sun. 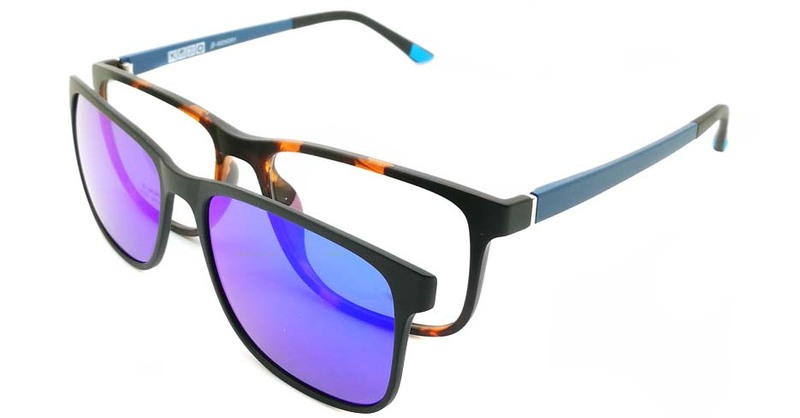 The magnetic clip-on sunglasses also protect prescription glasses from becoming scratched, they can be easily taken on and off, and they have an anti-glare coating. You can identify fake magnetic clip-on sunglasses by their poorly made quality and their incorrectly spelled designer names. Fake sunglasses do not offer any protection against the sun. For better clarity, you can compare the model number on the clip-on sunglasses with the mobile numbers found online. Other ways to check for authentic magnetic clip-on sunglasses is by their packaging. 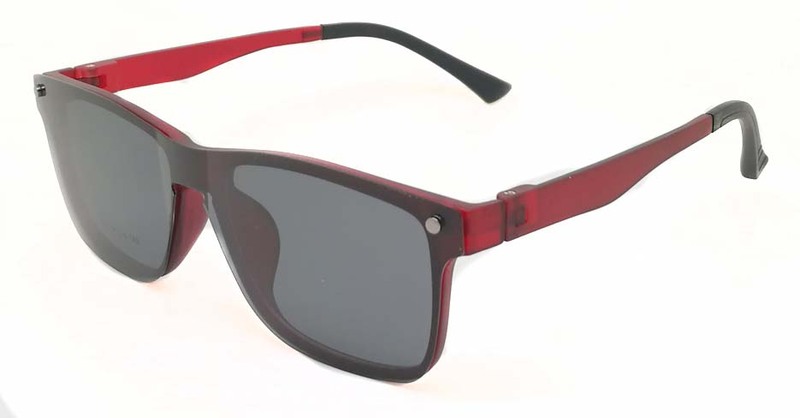 Original magnetic clip-on sunglasses are usually well-packaged and come with a designer case. They offer 100% UV protection and are usually custom made to suit the make and model of the prescription glasses. You can purchase quality magnetic clip-on sunglasses at vision shops, mall kiosks, and department stores. You can also find them in online stores and auction sites like eBay or Amazon. Ensure that you read the product description of the eyeglasses carefully and study the condition in the picture provided before placing your order.